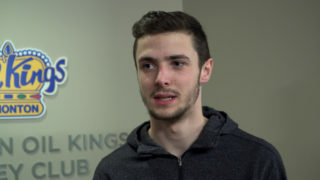 But the Canadian icon hopes his status as an outspoken and larger-than-life personality helps get the message across when it comes to something else he’s incredibly passionate about; organ donation. 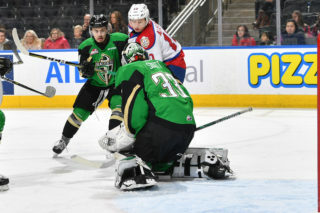 For the second straight season the Edmonton Oil Kings, along with all Canadian Western Hockey League members clubs, will take part in RE/MAX Presents: WHL Suits Up with Don Cherry to Promote Organ Donation. 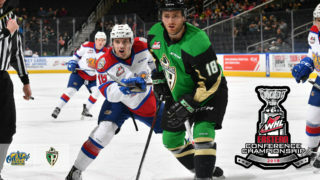 Those Canadian teams across the WHL will ‘don’ individually designed, Don Cherry-inspired jerseys as a way to promote awareness for organ donation, as well as raise funds for the Kidney Foundation of Canada. 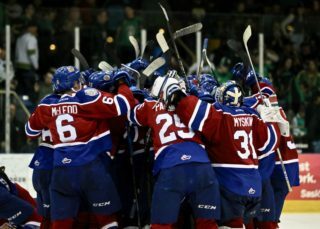 To unveil their special edition jerseys, the Oil Kings thought what better way to showcase them to fans for the first time but in a way Don Cherry himself would give a thumbs up to – alongside members of the Canadian Armed Forces at the Edmonton Garrison. For some, Don Cherry’s involvement in organ donation promotion is a little known fact, but the story behind it hits close to home for tens of thousands of Canadians nationwide. When Don was coaching the Boston Bruins in the 1970’s, his son Tim – who was 15 years old at the time – was diagnosed with kidney disease. After a visit to the doctor, Tim immediately went on dialysis. One day Don’s wife, Rose, emphatically decided that a member of the Cherry family was going to donate one of their kidneys to Tim. After testing, it was determined that Tim’s 21-year-old sister, Cindy, was the best match. “I never realized the seriousness of it all until I saw both of them going down the aisle for surgery,” chronicled Don on the WHL Suits Up to Promote Organ Donation website, CanadaDonates.ca. “I hadn’t seen the colour (in Tim’s face) in over a year. To see his cheeks rosy red again (after the surgery) was incredible. We thank God every day for it. The Kidney Foundation of Canada has seen the benefits of Grapes throwing his weight behind organ donation in short order. 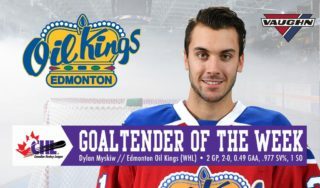 The Oil Kings knew they wanted this year’s jersey to be something that garnered widespread attention, all while being a look that the fans – and Don himself – would approve of. 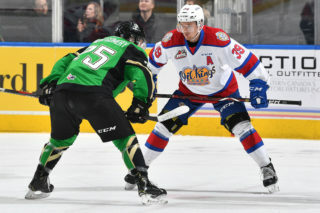 Tickets to the game on Saturday, January 19 at 1:30 PM MT are still available by clicking here, or by visiting OilKings.ca. The game is the first bill of a Battle of Alberta doubleheader which is followed by the Edmonton Oilers hosting the Calgary Flames at 8:00 PM MT at Rogers Place.